Point-Charge-Launch! It's that simple with the easy to use Backyard Flyer Classic. 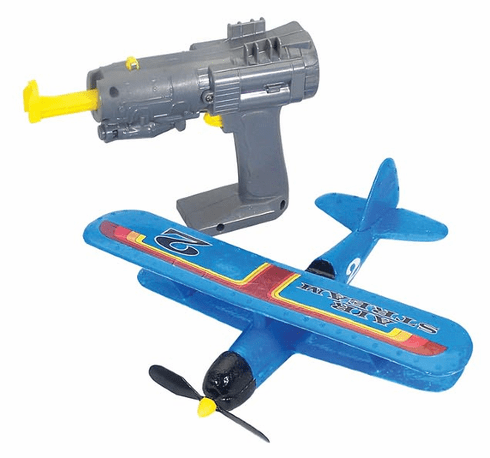 Slide the 8" X 10" durable, classic style bi-plane onto the all in one launcher and press the charger button. Plane charges in as little as 10 seconds for up to an incredible 45 second free flight experience. Best to fly your plane in wide open spaces, making it perfect for backyards, fields and playgrounds.